Security is what we are looking for and we can provide you a secured life with the help of Zicom – One of the largest company providing Electronic security solutions. 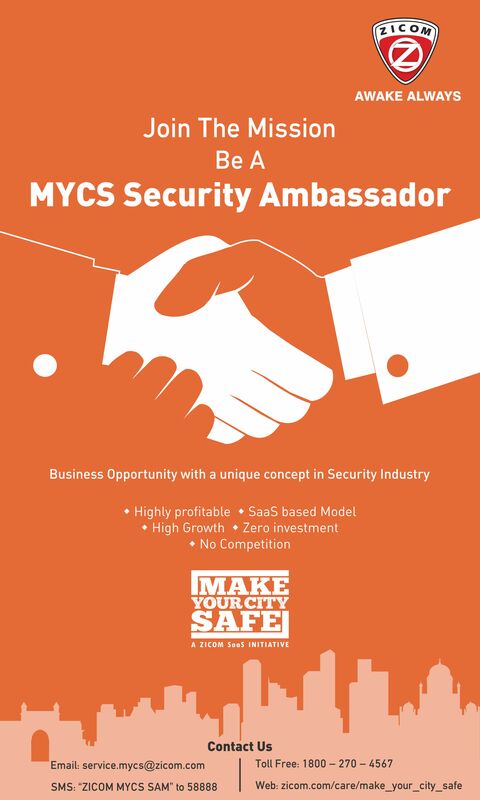 You have a chance to work from home and be a Security Ambassador. After attending the training session you can immediately start working as Security Ambassador. A Security Ambassador will earn good commissions each month on conversions + recurring commission for 2 years.